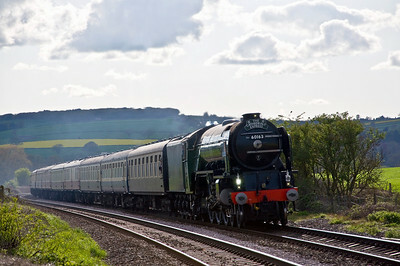 60163 "Tornado" with a special from Paddington to Shrewsbury via the Marches on the 12th of May 2012. 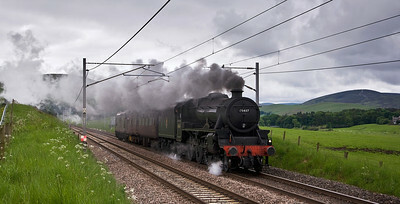 Seen here just north of Tram Inn on the return journey. 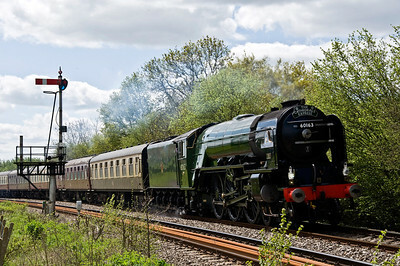 60163 "Tornado" with a special from Paddington to Shrewsbury via the Marches on the 12th of May 2012. 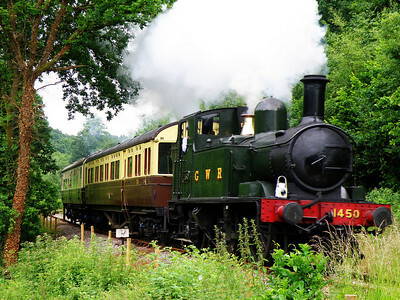 Seen here just north of Ashford Bowdler on the return journey. 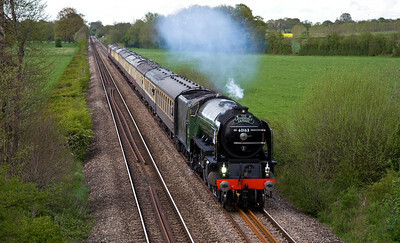 60163 "Tornado" with a special from Paddington to Shrewsbury via the Marches on the 12th of May 2012. 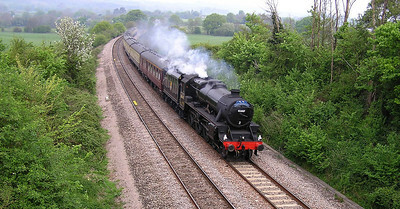 Seen here just south of Onibury on the return journey. 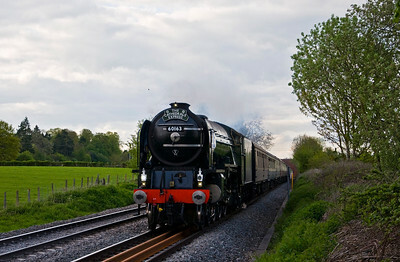 60163 "Tornado" with a special from Paddington to Shrewsbury via the Marches on the 12th of May 2012. 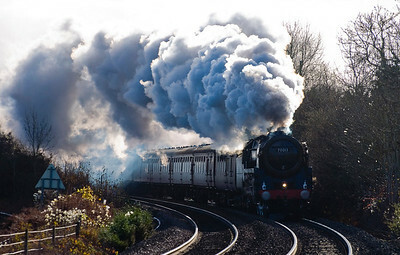 Seen here just north of Tram Inn. 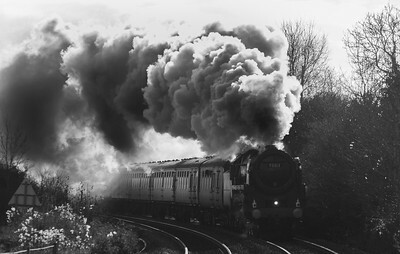 Eventually 45407 "The Lancashire Fusilier" is given the all clear from the loop at Abington and provides a wonderful sight and sound as it accelerates away. 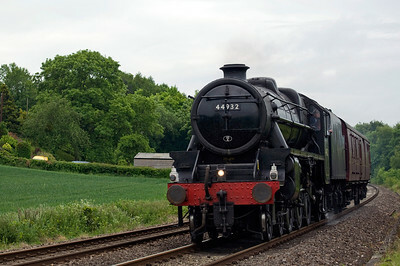 4-6-0 LMS Black 5 45407 "The Lancashire Fusilier" waits in the loop at Abington on the second part of its journey from Grosmont to Fort William, having stopped overnight at Carlisle. 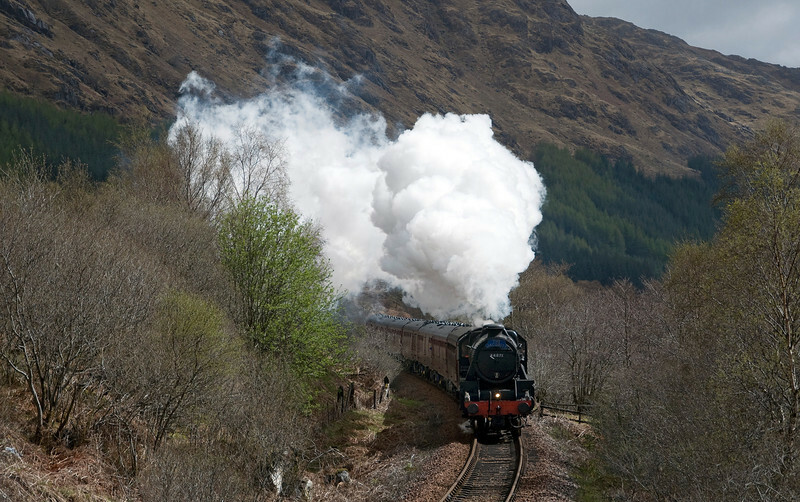 Originally it had been planned to move on the 15th but the delay meant that as we pulled off the M74 on our way from Inverness to Gloucestershire there it was, waiting. 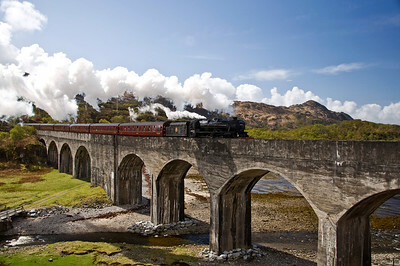 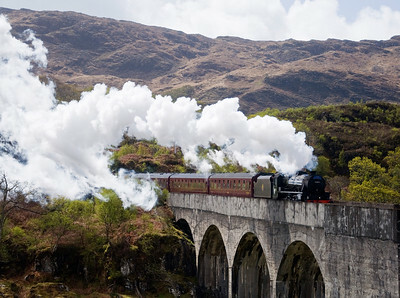 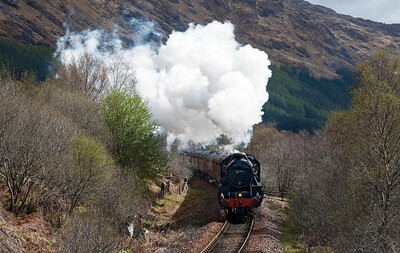 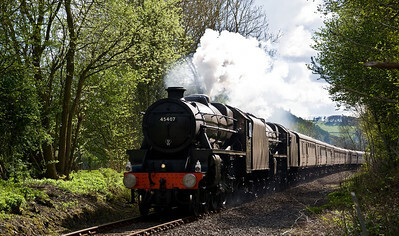 LMS Black Fives 45407 and 44871 with a special from Paddington to Llandrindod Wells on the 12th of May 2012.. 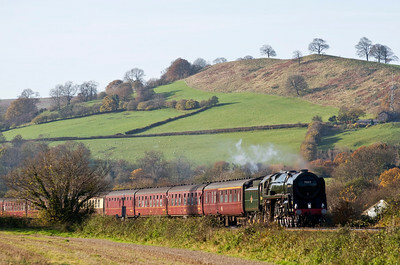 Steam took over from Newport as the special made it's way to Llandrindod Wells via the South Wales Mainline. 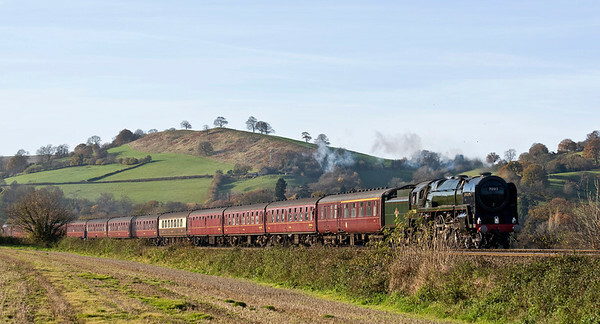 Seen here east of Knighton as they complete their final leg to Shrewsbury, where diesel power will take the train back to London. 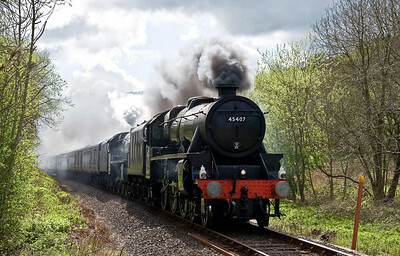 LMS Black Fives 45407 and 44871 with a special from Paddington to Llandrindod Wells on the 12th of May 2012. 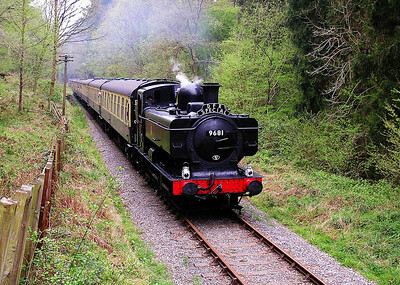 Steam took over from Newport as the special made it's way to Llandrindod Wells via the South Wales Mainline. 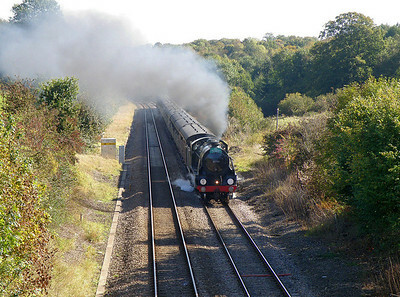 Seen here west of Knucklas as they complete their final leg to Shrewsbury where diesel power will take the train back to London. 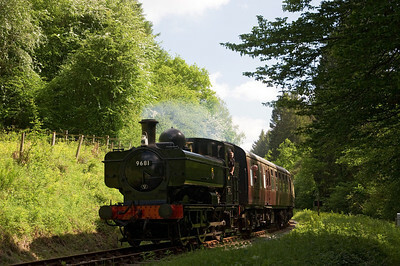 9681 Pannier Tank between Whitecroft and Parkend on the 9th of June 2013. 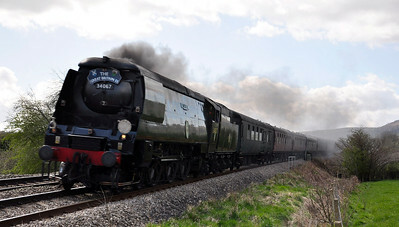 LMS Black 5 44932 heads back to Carnforth with its support coach after hauling the previous days Royal Duchy service from Bristol Temple Meads to Par. 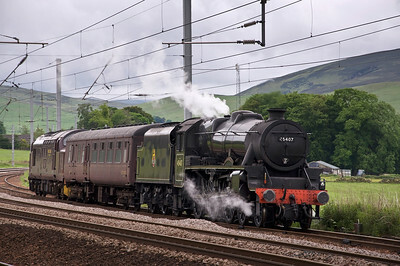 Seen here at Powells Crossing on the 17th of June 2013. 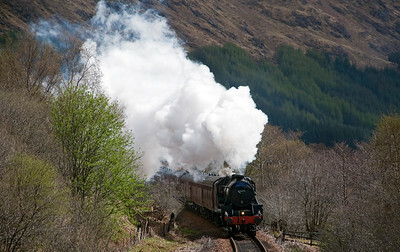 34046 "Braunton". 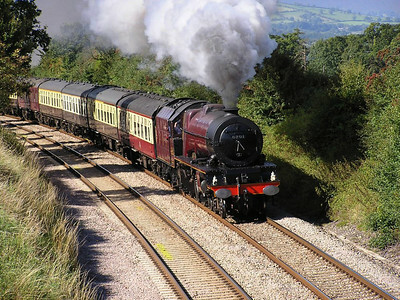 A West Country Class former Southern Region steam engine heads the 07:55 Bristol Temple Meads to Kingswear special. 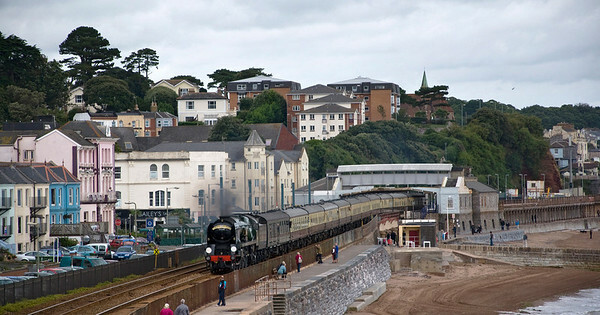 with Dawlish Station in the distance. 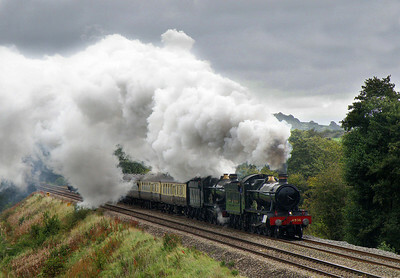 34046 "Braunton". 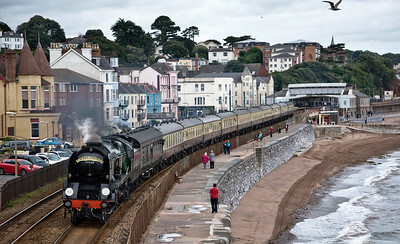 A West Country Class former Southern Region steam engine heads the 07:55 Bristol Temple Meads to Kingswear special through Dawlish Station. 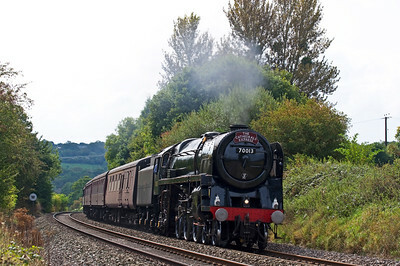 BR Britannia Class 7MT 4-6-2 no 70013 Oliver Cromwell with a special from Bristol to Crewe via Chester. 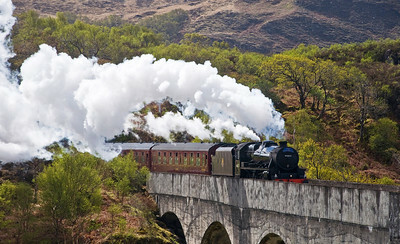 Seen here near Powell's Crossing. 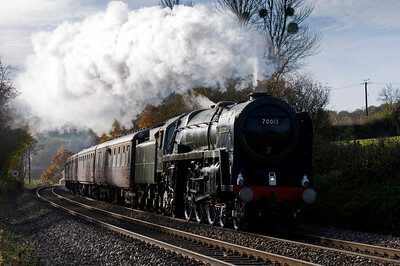 BR Britannia Class 7MT 4-6-2 no 70013 Oliver Cromwell with a special from Bristol to Crewe via Chester. 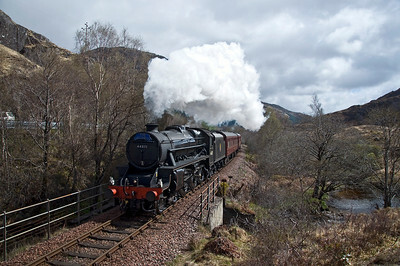 Seen here near Hope under Dinmore. 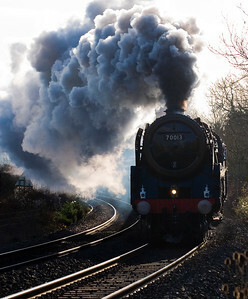 BR Britannia Class 7MT 4-6-2 no 70013 Oliver Cromwell with a special from Clapham Junction to Shrewsbury. 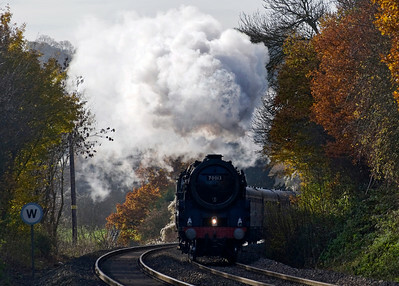 Oliver Cromwell worked the special from Bristol to Shrewsbury and back. 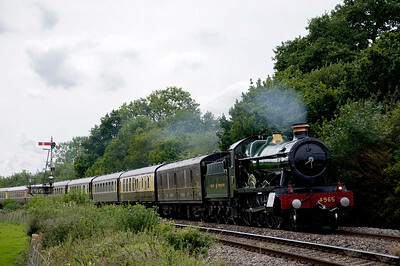 4965, Rood Ashton Hall, heads north at Coed More Farm with a special from Tyseley to Hereford.